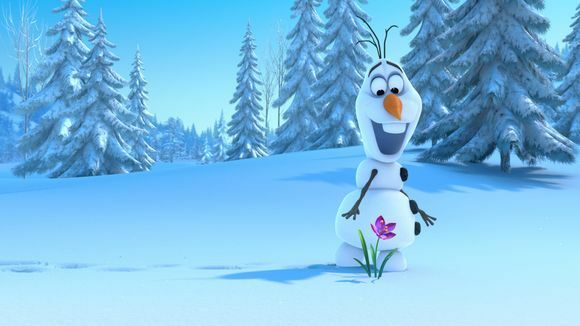 Olaf's Frozen Adventure- Our favourite snowman is back! It’s hard to turn my thoughts to slush and snow when all I am up to my elbows playing in the garden but, it’s time to show off a winter featurette release about our favorite snowman coming with the movie Coco to theaters November 22nd. When Anna and Elsa find they have no shared holiday traditions after growing up apart, Olaf takes it upon himself to find some. I snuck a peak at the trailer last night and it was hilarious! But don’t take my word for it, take a peek yourself! Featuring four new original songs, Olaf’s Frozen Adventure will be in theaters for a limited time beginning Nov. 22. Olaf’s Frozen Adventure is the latest spinoff of animated mega-hit Frozen, whose highly anticipated sequel arrives Nov. 27, 2019. « How to make moving day easier: Getting from here to there. I am so excited about this movie. I love Olaf so much. I know this is going to be a big hit already! I can’t wait to take my boys!